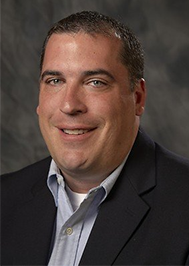 Marquette University has named Joel Pogodzinski as its new chief financial officer, Executive Vice President for Operations Dave Lawlor announced today. Pogodzinski, who most recently served as vice president of finance and chief financial officer at Broan-NuTone LLC in Hartford, Wisconsin, will begin in his role on Sept. 18, 2017. A 1994 graduate of the Marquette College of Business Administration, Pogodzinski succeeds Chuck Lamb, who retired at the end of the 2016–17 academic year. He will report directly to Lawlor. Pogodzinski joined Broan-NuTone as its CFO in 2014. There, he was the key leader in developing and implementing the global residential ventilation products manufacturer’s five-year strategic plan. Prior to that, he worked for Milwaukee-based construction and mining equipment manufacturer Caterpillar Inc., where he began his career in 1994 when it was then Bucyrus. He served in a variety of leadership roles including controller – business resources, controller – surface mining product group, and director of accounting.